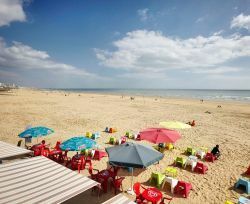 But it also gives you a great panoramic view of a typical seaside atmosphere. 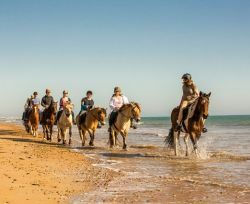 Saint Jean de Monts is a destination blending the best of the beach (a vast, gently sloping, fine sandy beach without strong waves!) and countless traditional and original leisure activities. 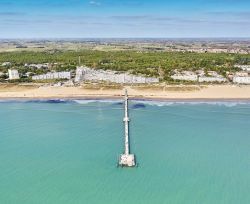 It’s true that this seaside town with 8500 permanent inhabitants is ideally located between the islands of Noirmoutier and Yeu, near the Vendée cliffs, the Vendée salt marshes and the Puy du Fou. What would you like to do? 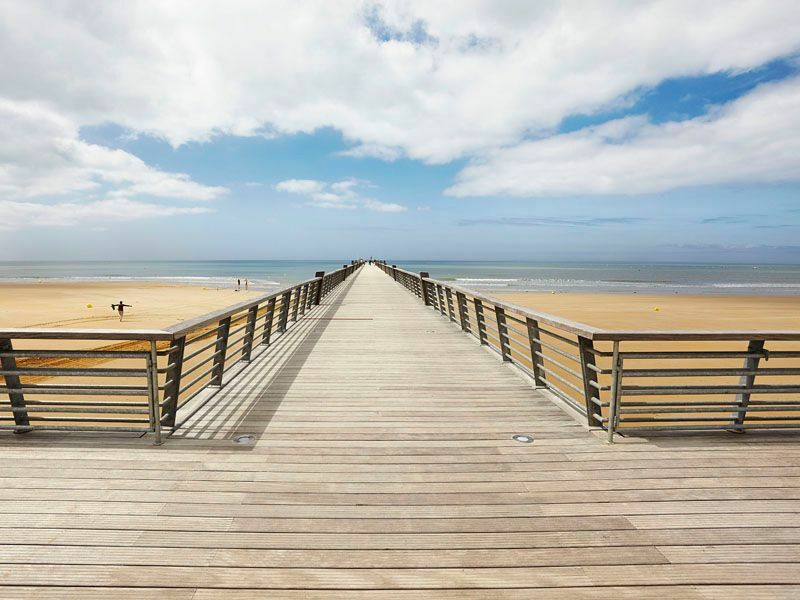 Saint Jean de Monts will not disappoint you! Hiking, cycling or horse-riding in the shade of the pine trees, a walk through the salt marshes or next to the sea, a visit to the belvedere, perched high in the forest – everything here is a source of wonder and relaxation! 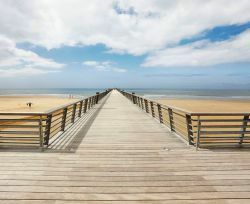 And don’t forget to walk along the 400-metre landing stage that goes all the way into the sea and provides a breathtaking view! 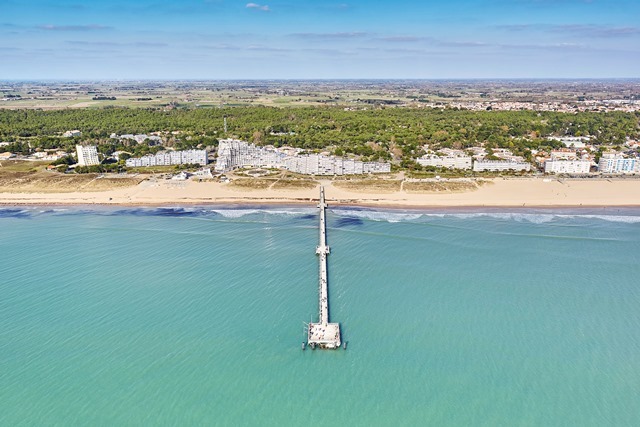 You’ll be amazed by Saint Jean de Monts! 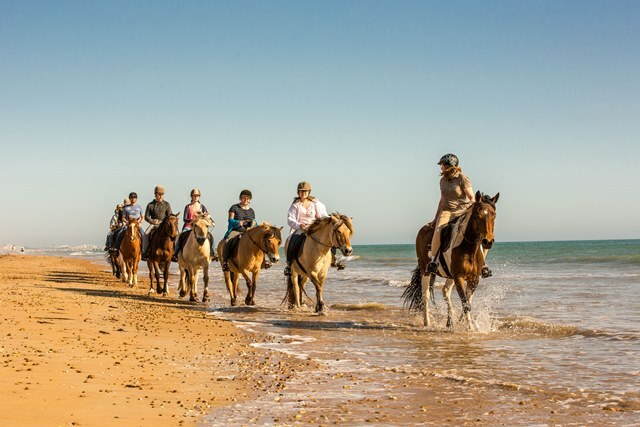 Just for you and your family, explore the vast natural areas: 8 km of fine sand beaches, 4000 hectares of salt marshes, 765 hectares of forests. 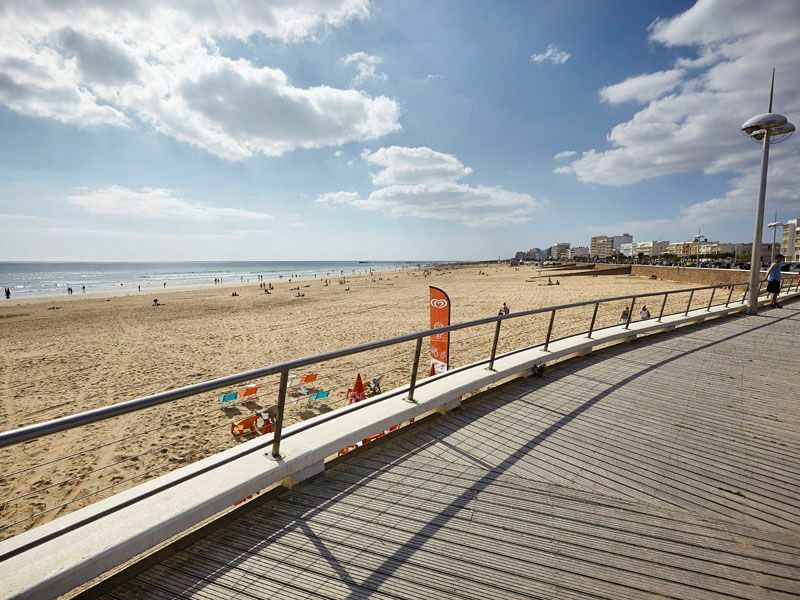 Experience a seaside history that is filled with striking architecture: the rounded villas from the 1950s, the curves and pyramid shapes of the flats from the 1970s and the stone façades of the earliest holiday homes. Everyday from April to September, the covered market at the heart of the town is an introduction to fresh, local produce in a thousand summer colours. Are you looking for something local? That’s great! 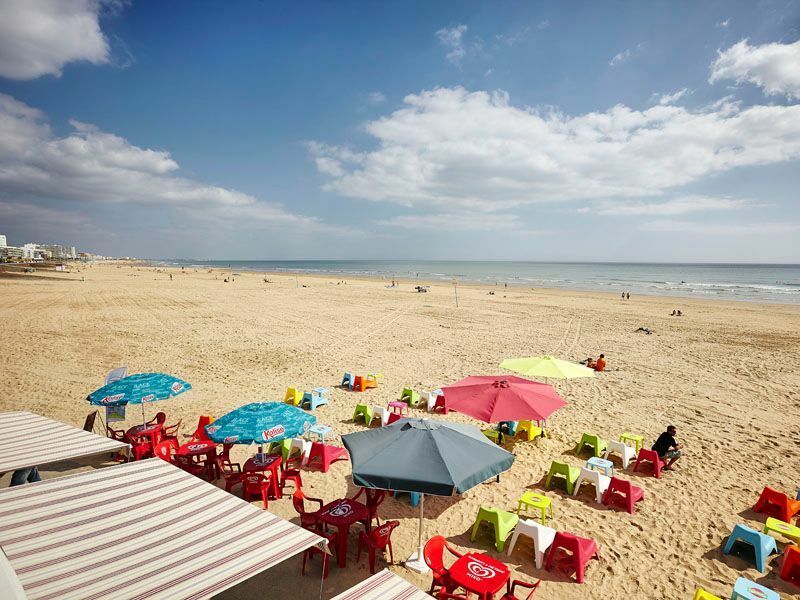 Taste our “home-grown” specialities: the fionaïe (an egg dish), eels, caillebotte cheese, the rata de margate (seafood), etc.. For simple pleasures and a great time for all, enjoy a picnic with your family or friends on one of the beaches in the shade of the pine trees. Are wellness and relaxation your watchwords on holiday? Then make the most of all the tranquillity of the Thalassotherapy centre in Saint Jean de Monts. 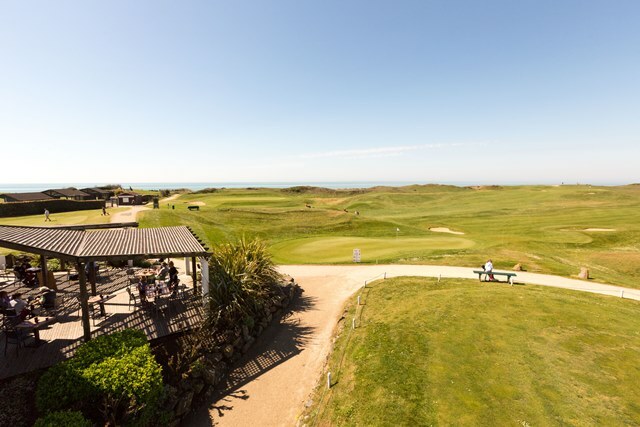 Looking for some fresh air and spectacular views? 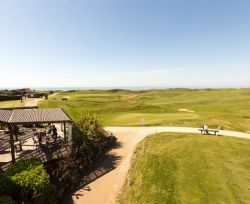 Then head for the 18-hole golf course! Want some exercise? Set off for Explora Parc to try your hand at a treetop adventure course, or the Water Sports Centre to get on board a catamaran or a sand yacht, along with a wide range of other water sports, and not forgetting somesixty local leisure professionals providing unforgettable activities. And what about the evening? 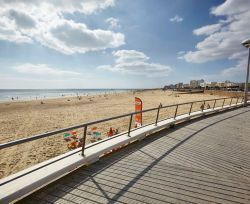 Games and tasty treats in Avenue de la Mer, a casino, street theatre and activities, festivities and wonderful encounters.